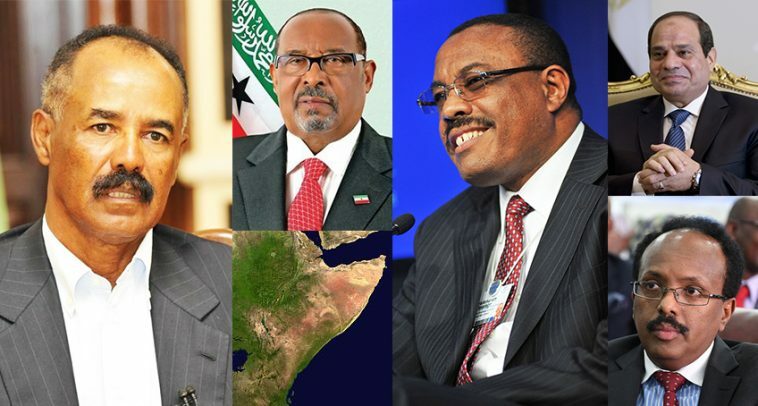 The players in the Horn of Africa’s delicate geopolitics. Photo by roguechiefs. THE Gulf crisis and the scramble for military outposts in the Horn of Africa are increasing regional tensions that risk triggering a conflict. In this Q&A Crisis Group’s Horn of Africa Project Director Rashid Abdi untangles the complex web of relations that tie the Horn and the Gulf. The Gulf and the Horn are intricately intertwined regions that face common threats and vulnerabilities: armed conflict, transnational jihadism and organised crime, including piracy, human trafficking and money laundering. The current crisis comes at a difficult moment for the historically conflict-prone Horn, much of which is either politically unstable, mired in internal armed conflict or still in a state of fragile post-conflict recovery. Turmoil in the Gulf has sharply escalated the region’s already dangerous militarisation as governments are pressed to side either with Saudi Arabia and the United Arab Emirates (UAE) or with Qatar (and, indirectly, Turkey). This has been profoundly destabilising, sowing new regional divisions and rekindling old hostilities. Perhaps most alarmingly, the Gulf crisis potentially could put Ethiopia, Eritrea and Djibouti on a path toward armed confrontation, inflaming the Horn’s most dangerous three-way territorial dispute. Border tensions rose in June when Qatar removed 400 observers monitoring a ceasefire on the Red Sea island of Doumeira, claimed by both Eritrea and Djibouti, to protest the two countries’ support for its Gulf adversaries. Taking advantage of the pullout, Eritrea swiftly deployed forces to cement its de facto hold on the island. Asmara may have intended to force a resolution of the island’s status, which has remained unsettled since border clashes in 2008. But its actions have increased the danger of serious armed conflict, which would be likely to draw in neighbouring Ethiopia, Eritrea’s bitterest foe and a strategic ally of Djibouti. Despite Djibouti’s protests and calls for intervention by the UN Security Council and African Union (AU), Eritrea so far seems unwilling to withdraw its troops and engage in talks aimed at a peaceful settlement. Reports that Ethiopia is massing forces to dislodge Eritrean troops from Doumeira are unverified, yet plausible. Unless quickly contained, renewed regional tensions over Doumeira conceivably could trigger more serious flare-ups on both the volatile Eritrea-Ethiopia border and on the Djibouti-Eritrea frontier. 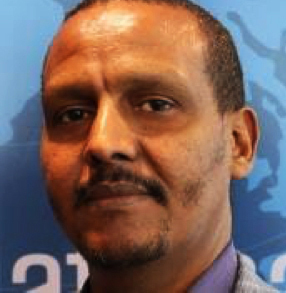 Crisis Group’s project director for Horn of Africa. Ethiopia, the Horn of Africa’s preeminent diplomatic and military power, remains neutral. Prime Minister Hailemariam Desalegn, publicly articulated his country’s anxiety on July 7, telling parliament in a speech broadcast live that the Gulf crisis “must be resolved expeditiously” or it could “destabilise” the entire region. He expressed particular concern about the Gulf states’ increased military presence, reflecting his country’s fears that an emboldened Eritrea, which plays a pivotal role in Riyadh’s and Abu Dhabi’s regional strategies, could use this as an opportunity to boost its military capacity. The fresh urgency of the “Eritrea Question” in Addis Ababa also is linked to Ethiopia’s rivalry with Egypt, which has close ties to the UAE and Saudi Arabia. Egypt is boosting its military cooperation with Eritrea as well as its presence in the Red Sea, deploying a flotilla of combat vessels that include a frigate capable of firing long-range missiles. While Eritrean and Egyptian officials claim their naval cooperation is for “counter-piracy” purposes only, some Ethiopian commentators dispute this, accusing Cairo of trying to isolate or destabilise Ethiopia through “strategic encirclement”. Somalia is a member of the Arab League, and rival Arab powers regard it as part of the Muslim umma. They see Somalia’s strategic location as crucial for protecting the “Arab homeland” and al-amn al qawmi al-Arabi (Arab national security). But Arab powers have competed to maintain influence over Somalia. Until recently, Saudi Arabia and Egypt were the two most prominent rival players in Somalia. Now Qatar and the UAE have emerged on the scene. All these powers actively support rival Somali politicians, further deepening its culture of clientelism. President Mohammed Abdullahi Farmajo so far has resisted both pressure and financial inducements to back the Saudi-UAE axis and sever links with Qatar. By opting for neutrality, he appears to have enhanced his domestic credibility. Yet the Federal Government of Somalia (FGS) risks losing Saudi and UAE military and financial aid. Talks held in early July between Saudi Foreign Minister Adel al-Jubeir and Somali Prime Minister Kheyre were reportedly acrimonious. Jubeir is said to have launched a blistering attack on Mogadishu, warning of dire consequences unless it cut ties to Doha. The UAE allegedly is considering ending its programme to pay, train and equip a special forces unit for the Somali National Army. It is not clear whether the UAE-trained Puntland Maritime Police Force (PMPF), Puntland’s coast guard, will be affected, but that would be highly unlikely, not least because of the UAE’s close links with Somali subnational governments. In mid-June, the prime minister sent out discreet distress calls to Western donors, indicating that Saudi Arabia and the UAE had decided to withhold direct general budgetary support. Loss of Saudi financial support would cause significant harm, disrupting the government’s ability to function. But Somalia’s appeal comes at an inauspicious time for the European Union (EU) and other key donors, which are straining to mobilise funds to avert famine and support the country’s expensive peacekeeping operation. The Yemen conflict and the Gulf’s internal crisis have catapulted Somaliland, which broke away from Somalia in 1991, into a position of geopolitical prominence. Both developments enhanced its strategic importance to Saudi Arabia and the UAE, which means that even as Mogadishu faces the prospect of a potentially crippling cash crunch, Somaliland stands to reap a hefty financial windfall. The president and ruling party, which face a difficult election later this year, are marketing the UAE deal as a “development bonanza”. But it still faces hurdles. Somalia, which claims sovereignty over Somaliland, is challenging the agreement’s international legality, and Ethiopia is concerned about its military component. To assuage the Ethiopian government, Somaliland and DP World are giving it a 19% commercial stake in the Berbera Port. Still, the Ethiopian prime minister’s warnings about the growing Arab military presence suggests Addis Ababa is far from reassured. The two Gulf states initially set up a logistics hub in Djibouti’s Haramous facility near Camp Lemonier, stationing specialised troops there to help prosecute the war in Yemen. A dispute – whose cause remains unclear – led Djibouti to evict the Emiratis and Saudis, which moved to Eritrea in 2015. The UAE temporarily broke ties with Djibouti, which were quietly restored in 2016. Saudi Arabia reached a separate agreement to establish a base there. Eritrea has obvious appeal to Gulf military strategists: it has well-developed military facilities, experienced armed forces and is close to Yemen’s important southern flank. The two Arab states signed an accord with Eritrea in 2015 that granted them a 30-year lease to use the port of Assab, a military airfield close to the port and other facilities on Eritrean-owned islands in the Red Sea. The UAE can use these sites to launch naval and aerial strikes deep inside Yemen. Hundreds of Eritrean troops and special forces back the Saudi-led coalition in Yemen, in addition to other troops from Sudan and Somalia. Finally, the UAE signed an agreement with Somaliland to build a naval base in Berbera. The proposed naval base is adjacent to the port of Berbera, which, as noted, is partly managed by an Emirati company. The Somali government protested the deal, but has softened its stance, following President Farmajo’s trips to Riyadh and the Emirates. Centuries of shared faith and commerce have placed the Gulf and the Horn among the world’s most interdependent regions. Gulf powers view the region bordering Africa’s Red Sea and Gulf of Aden as their natural sphere of influence. For the Saudis, in particular, the pursuit of strategic influence has traditionally combined aid, humanitarianism and proselytisation of their Wahhabi faith. The latter assumed greater priority following Iran’s 1979 Islamic Revolution and the growing assertiveness of Shia Islam. Until recently, trade was not very high on the agenda. The Horn also supplies the Gulf with cheap, often unskilled workers, who send home significant remittances. Though economically beneficial, this migration causes political friction. Horn states accuse their Gulf counterparts of poor labour standards that encourage maltreatment; Arab states say governments in the Horn are not doing enough to stem illegal migration, which has risen significantly in the last two decades. Periodic crackdowns and expulsions of migrant workers have strained relations between the Gulf and countries such as Ethiopia, Sudan and Somalia. – First published on International Crisis Group.